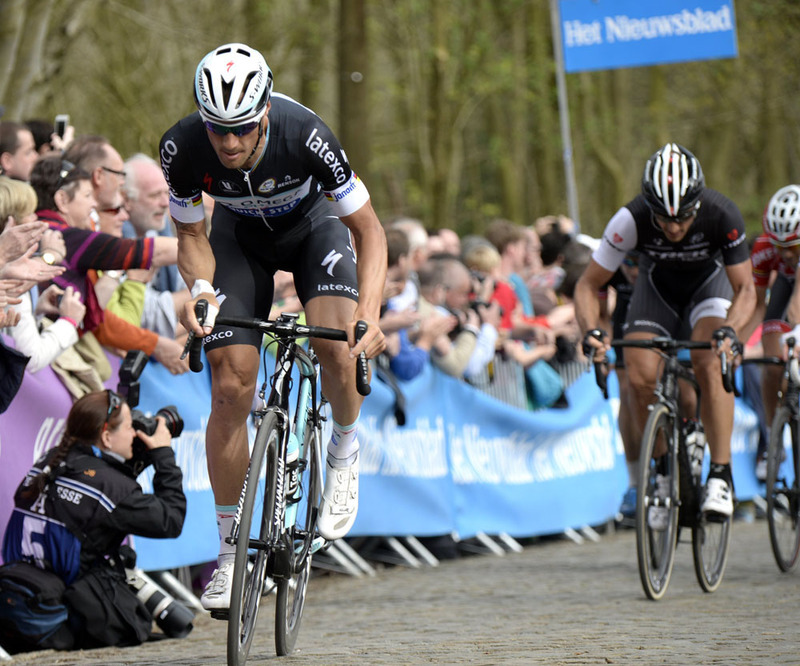 The first of three consecutive Sunday cobbled classics takes place this weekend in the form of the Ghent-Wevelgem. 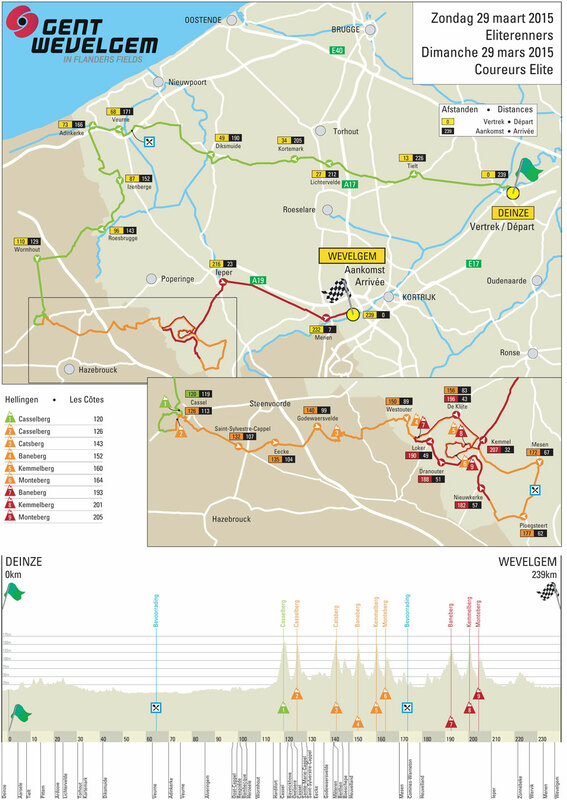 Although this race may not be as big as the following in terms of both prestige (the Tour of Flanders and Paris-Roubaix are both classed as monuments) or parcours (it’s shorter at only 235km in length and features less climbing), it still possesses UCI WorldTour status and is one of the major races of the spring. For the first time in over a decade, this trilogy of Northern European races will feature neither Tom Boonen (Etixx-QuickStep) nor Fabian Cancellara (Trek Factory Racing). Boonen’s absence was confirmed a few weeks ago after damaging his shoulder in a crash during Paris-Nice, while Cancellara sustained fractured vertebrae in his back in another crash sustained at E3 Harelbeke. Both riders have dominated the cobbled classics over the past 12 years, so much so that the rest of the peloton have had limited opportunities to win for themselves. Ghent-Wevelgem may not have been quite as monopolised as the other two, but Boonen is still holds the record for most number of wins here (three, in 2004, 2011 and 2012). This year’s edition therefore represents a chance for new riders to emerge from the Boonen-Cancellara shadow and achieve success for themselves. Team Sky’s Geraint Thomas has already done just that, by winning E3-Harelbeke in impressively controlled fashion. His win continues what has been a best classics campaign to date for Team Sky, following Ian Stannard’s triumph against the odds at Het Nieuwsblad. 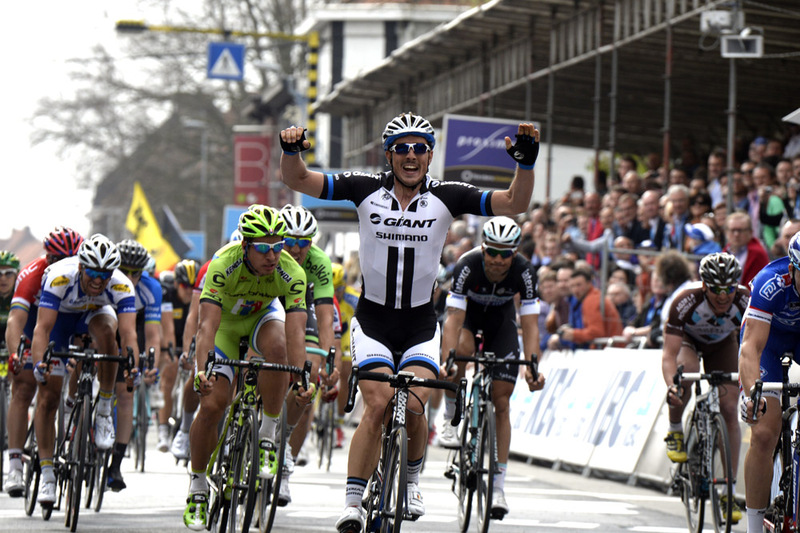 But Ghent-Wevelgem does not play to their strengths as much as those two races. There are fewer bergs to launch an attack, and a far higher chance of ending in a bunch sprint – three of the last four editions have ended with a sprint contested by at least 13 riders. It will be more difficult for Thomas and Stannard to instigate race-winning breaks, and the team’s sprinter Elia Viviani does not quite have the kick of his rivals. Instead, British hopes are more likely to be gratified by Mark Cavendish (Etixx-QuickStep). The Manx Missile has already managed to win a similar race – Kuurne-Brussels-Kuurne – and will be confidently of outsprinting anyone should he make the group that contests the finish. There are, however, enough obstacles to make Cavendish and the other sprinters’ lives difficult. A total of nine climbs are to be tackled, including two ascents of the Baneberg, Kemmelberg and Monteberg inside the final 90km. Of these the Kemmelberg is the most famous, thanks partly to its notoriously difficult descent, but the Monteberg is the last to be climbed. Situated just over 30km, it’s here where any attackers must pull a considerable lead over the peloton if they’re to have any chance of surviving to the finish. British Eurosport 2 will broadcast live coverage from 13:15, with highlights later in the evening.